James Franco is throwing a lot of spaghetti at the wall for his remake of the Lifetime Original Movie Mother, May I Sleep With Danger?—despite the fact that the project is already coming out of the gate a little weird thanks to the simple fact that it’s a James Franco-directed remake of a beloved(?) Lifetime movie. Franco is an artist, though, so if he’s going to do something then he’s going to do right, which—as we’ve previously reported—means that he’s introducing lesbian vampires to this otherwise traditional story of a college student stuck in an abusive relationship. 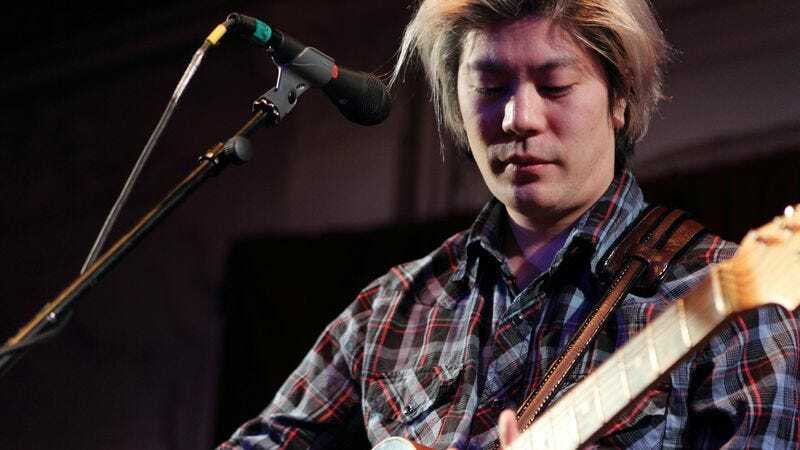 Franco’s latest new addition to the Tori Spelling/Ivan Sergei classic may not be as unexpected as that, but it’s still surprising: According to Uproxx, former Smashing Pumpkins guitarist James Iha has been tapped to score the Mother, May I Sleep With Danger? remake (if that word still applies). Iha has worked on scores for other projects in the past, including the Hulu series Deadbeat and a Japanese film called Linda, Linda, Linda, but this will most likely be his first time writing music for a Lifetime movie about lesbian vampires that’ll be directed by James Franco.